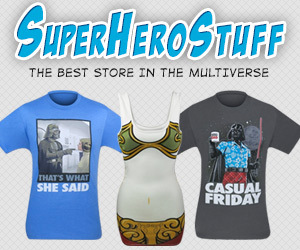 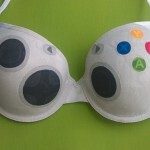 In the past, I have posted some pretty cool video game related bras on here such as the recent Xbox 360 controller bra post and the Pokemon master ball bra post, but this is by far my absolute favorite! 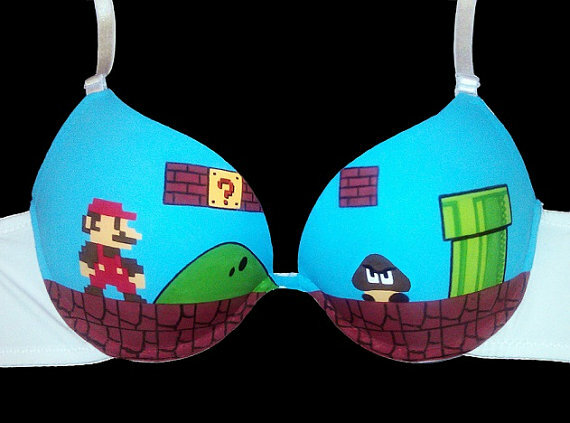 For the women out there that love the classic NES platformer, Super Mario Bros, Etsy seller SceeneShoes (the same person behind the bras mentioned above) is selling this awesome hand painted Super Mario Bros bra for $45. 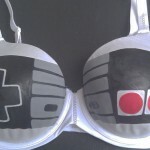 This amazing Super Mario Bros bra comes in a range of sizes although larger sizes will cost more. 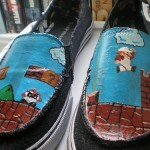 No matter what the cost, I would say that it would definitely be worth every penny!